To celebrate the event, he asks the seven village leaders of his province to choose the best ninja from each community among the children aged between 11 and 16. Each chosen contender will represent their village during the tournament and try to get the 100,000 gold coins on offer for the winner. 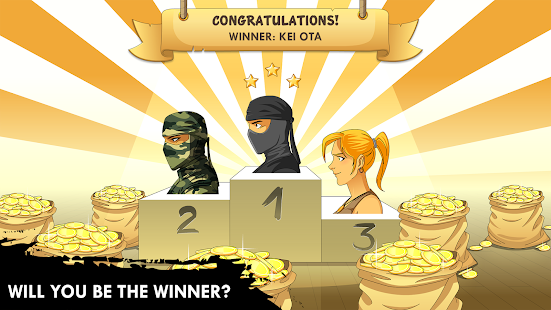 In Reign of the Ninja, 7 elite ninjas face each other in a series of challenges and missions (minigames). 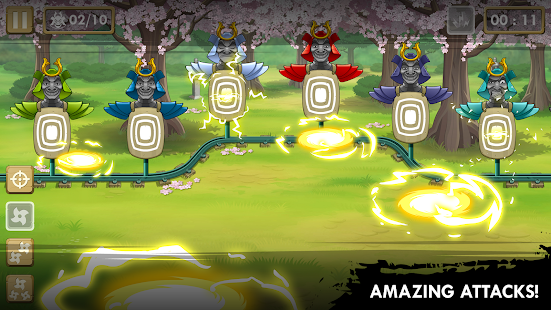 Each has their own favourite weapon (shuriken, kunai, bow and arrow, saber, blowpipe...) and special skills that give them that extra edge in their favourite challenge. Choose the hero who best represents you and use their powers to maximise your chances of victory. Each ninja has a different reason for wanting to win the prize. 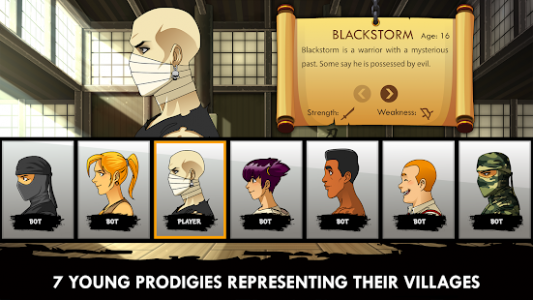 Will you be able to discover them all by unlocking the game's seven different endings? 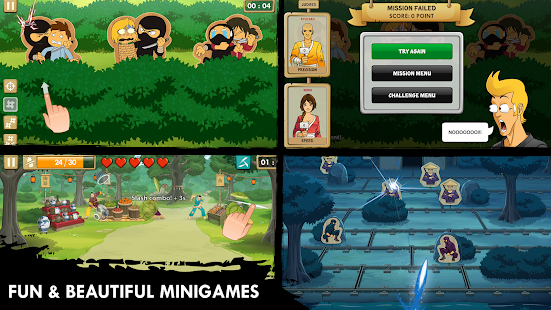 Much more than a simple action and skill-based game, Reign of the Ninja is a subtle mix of Anime and Manga, with a fun, offbeat atmosphere. 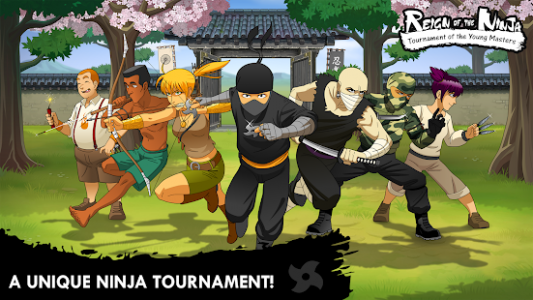 Reign of the Ninja includes optional in-app purchases.